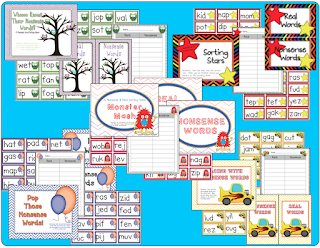 We are SUPER excited to link up with Tunstall's Teaching Tidbits. 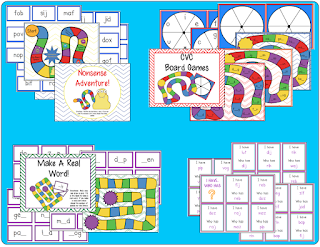 Stephany's favorite product right now is her CVC Real Word and Nonsense Mega Pack! 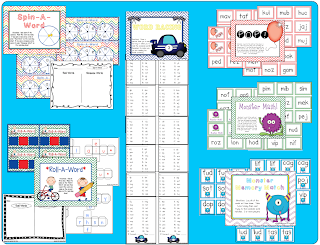 It is over 100 pages and has been a life saver for kiddos that are still struggling with the CVC vowels and with DIBELS Nonsense Word Fluency! 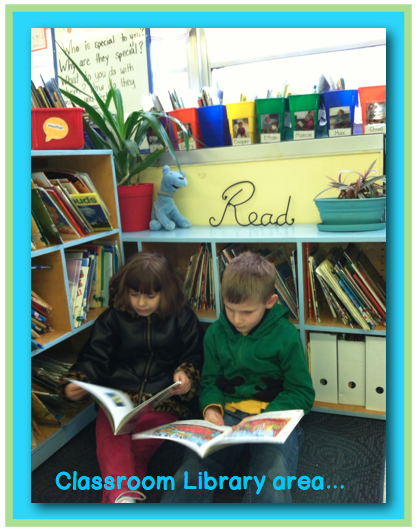 Next, A is for Area! The library and the listening center are the favorite places in Stephany's room. There are comfy rugs, plants, chair, stuffed animals... the kids love these areas of the room! S is for SIGNAL. I use attention grabbers for nearly everything. Here are a few pictures of my students using hand signals for the attention grabbers that I use in my kindergarten classroom. This signal means to "stop". We use it when we say, "Tootsie roll, lollipop, we've been talking now let's stop." This signal means to "focus". I say, "Hocus pocus". 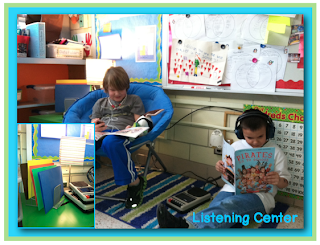 Students reply, "Everybody focus". I love this signal. I call it "hug your fingers". 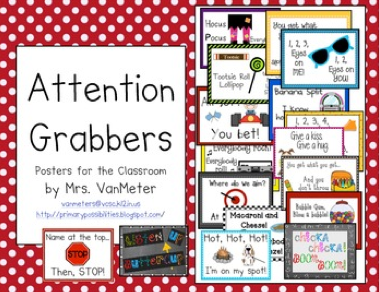 I am also including a sample of my Attention Grabbers packet available on TpT. In our small community, we have a place called Zip and Sip. It has over a hundred combinations of drinks, teas, and colas. Nearly every teacher stops there in the morning to get their flavored drink. I get 1/2 and 1/2 tea. It is 1/2 sweet and 1/2 unsweetened iced tea. And the ice.... the small little round ice is the best!! She even knows our drink when we come through early in the morning! Thanks for check out our "Hall Pass" click at the link at the top to go check out the other hall passes! Love the local drink places. Mine is called Lincoln Perk and I love Chai Tea. I will be heading to check out your CVC mega pack. It might be just what we need the next three weeks. Hug your fingers - love it! So glad you left me a comment so I could find your blog. I love some of your attention grabbers - need to go check that out. I love your attention grabbers!! So cute and catchy!! I popped over from the Hall Pass linky. 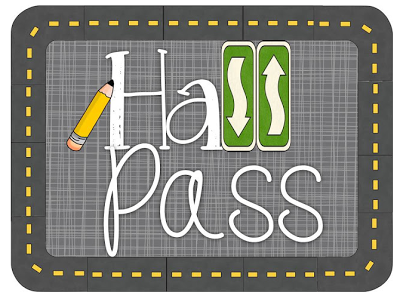 I'd love it if you'd "sneak down the hall" and check out my Hall Pass post! !